IMPORTANT: If you have a change in your mailing address, please notify the Lodge of your change at 254-0432 or email moose@nwcable.net so your information can be updated. WELCOME TO WASHINGTON MOOSE FAMILY CENTER #1080. We are located at 301 E. Highland Avenue, Washington, Indiana. Our Lodge was instituted on August 16, 1912. We moved into our current location in 1958. The Lodge opens Monday through Saturday at 5:00 PM. Sunday openings are scheduled for special events (Check the Current and Upcoming Events page on this site). All activites contained herein are for members and qualified guests only. Please sign our Guestbook to offer comments/suggestions. We're interested in hearing from you! 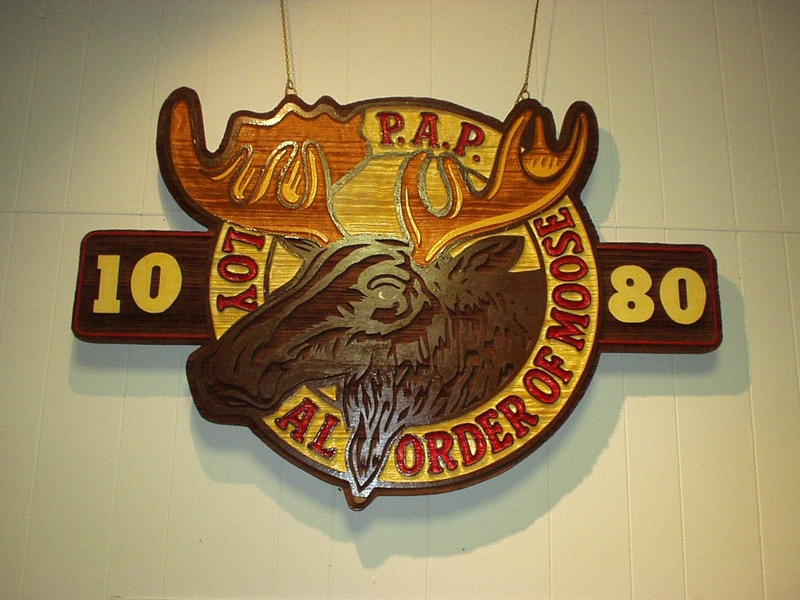 If you're a member of Washington Moose Family Center 1080 or Washington Chapter 648 and have an announcement or posting for the web page, please let us know! PREVIOUS GUESTBOOK WAS ELMINATED BY THE PROGRAM.